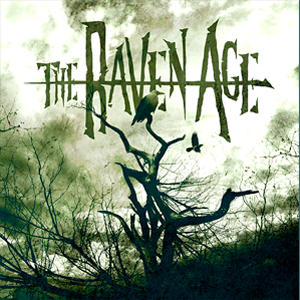 THE RAVEN AGE, the band featuring IRON MAIDEN bassist Steve Harris’ son George Harris, have released their debut music video for “Angel In Disgrace”, which is the closing track on their self titled EP. The song has already received over 150,000 streams worldwide, proving to be their most successful track yet. Check out the new video on KNAC.COM right HERE. THE RAVEN AGE are currently in South America with IRON MAIDEN and ANTHRAX on The Book Of Souls World Tour, which will be continuing onto North America, Japan, China, New Zealand, Australia, South Africa and finishing with an extensive run in Europe. The band will also be appearing at some of the most established rock and metal festivals this summer including their second appearance at the UK’s Download Festival. The band have many more exciting announcements across the remainder of this year, including the release of their debut full-length album.